New group-wide frame agreements worth over NOK 2 billion (�180M) in total will secure STATOIL�s valve requirements for the next five to seven years. 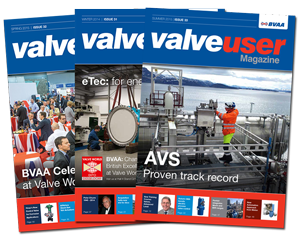 STATOIL has signed a total of 17 agreements with 12 valve suppliers covering nine valve types, catering for STATOIL�s valve needs in day-to-day operations, new developments and modification projects. "For the first time, STATOIL is signing frame agreements for valves covering the whole spectrum of our business," says Rune Norseng, Vice President for procurements in operations support in the Exploration & Production Norway (EPN) business area. "This secures access to essential equipment at competitive prices in a market with high demand." KOSO Kent Introl are pleased to announce that they have been nominated as one of STATOIL�s Control Valve and Surface Choke Valve Frame Agreement holders, where a total of NOK 830 million (�75M) will be spent within this period. The agreements are a result of STATOIL�s Best Procurement Practice (BPP) corporate initiative which aims to gather control of all STATOIL procurements into 64 group-wide equipment categories. The goal is to reduce STATOIL�s annual procurement expenses by NOK 6.4 billion (�580M).